Vitamin D - Can the sunshine vitamin help reduce asthma atttacks? 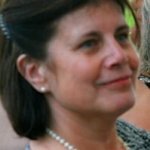 Cochrane UK’s Senior Fellow in General Practice Lynda Ware looks at the new Cochrane review on Vitamin D for the management of asthma. A new Cochrane review looked at precisely this question and found high quality evidence suggesting that it does! It seems to me that vitamin D – also known as the ‘sunshine vitamin’ – is very much in the limelight (or should that be sunlight?) right now. Its role in maintaining a healthy skeleton is well known but it may have other important actions. Low levels of vitamin D have been linked to an increased risk of asthma attacks in children and adults with asthma. It is thought that vitamin D has anti-inflammatory and antimicrobial functions in the lungs, which may explain why it could be beneficial. Vitamin D is a fat-soluble vitamin. It’s present in a small number of foods such as oily fish, liver, red meat and egg yolks. In the UK, certain foods have vitamin D added to them, for example most margarines, some breakfast cereals and infant formula milk. There are also oral supplements which can be bought over the counter or prescribed by a doctor. Our main source of vitamin D is from the action of sunlight (the UVB component) on our skin. Certain groups of people are at particular risk of not making enough vitamin D in this way e.g. the frail and housebound, residents of nursing homes, and people who wear clothes that cover up most of their skin. It has been suggested that in the UK it might make sense to take a vitamin D supplement from October to March, when there is insufficient UVB beaming down on us to optimally maintain our levels. What did the Cochrane review find with regard to vitamin D and asthma? 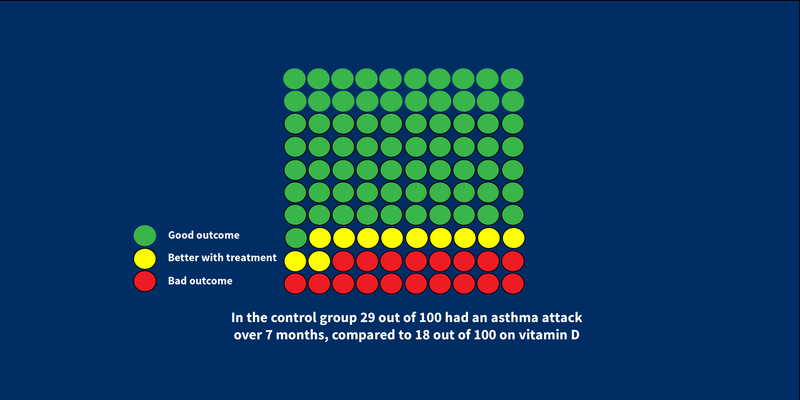 The recent systematic review from the Cochrane Airways Group found nine double-blind randomised placebo-controlled trials of vitamin D in children and adults with asthma, which evaluated the risk of having an asthma attack and/or the level of symptom control. Two studies were in adults and involved 658 participants; seven studies were in children with 435 participants. The studies were conducted in Canada, India, Japan, Poland, UK and USA. Most of the participants had mild to moderate asthma and continued their regular asthma medication for the duration of the trial. The studies lasted from six to twelve months. There was no evidence to indicate that vitamin D brought about an improvement in lung function tests or in day-to-day symptoms. It was safe at the doses given. But why does Adrian Martineau, lead author of the review, advise caution before acting on these results? Well, a few things remain unanswered….. It is not clear whether giving vitamin D helps all patients with asthma – or just those who have low vitamin D levels. The majority of participants in the trials had mild to moderate asthma. It’s not certain whether those with more severe disease, and therefore at greater risk of asthma attack, are likely to benefit. 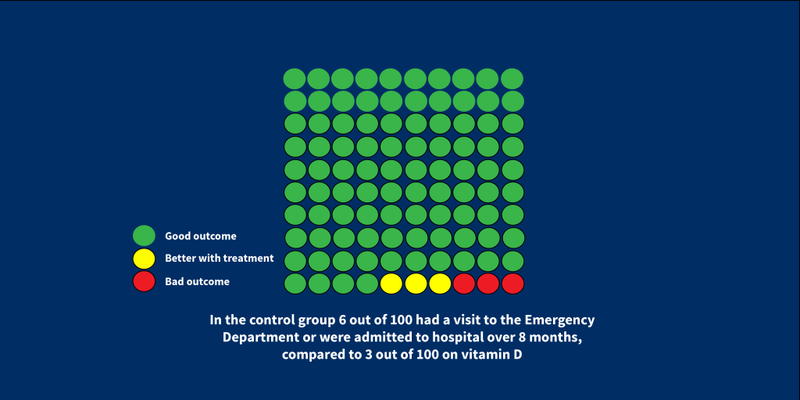 Individual patient data from the trials included in this review are being extracted to see whether benefits are restricted to those with lower vitamin D levels. 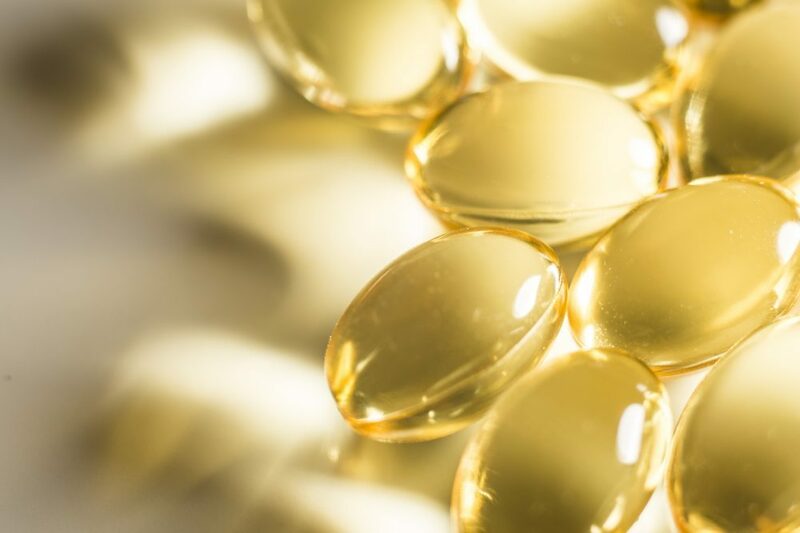 New trials in children and adults who are prone to frequent asthma attacks are needed to determine whether vitamin D can prevent asthma attacks in these groups. Asthma is a common chronic disease affecting about 300 million people worldwide. Despite greater understanding of the disease and its treatment, asthma was responsible for 1216 deaths in UK in 2014 – that’s about 3 people per day. This systematic review highlights a possible role for vitamin D in preventing severe asthma attacks – cause, I believe, for cautious optimism…. Martineau AR, Cates CJ, Urashima M, Jensen M, Griffiths AP, Nurmatov U, Sheikh A, Griffiths CJ. Vitamin D for the management of asthma. Cochrane Database of Systematic Reviews 2016, Issue 9. Art. No. : CD011511.pub2.